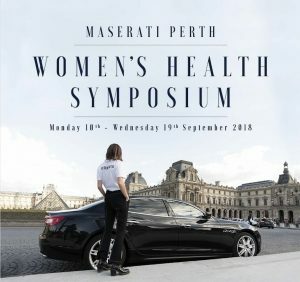 The Maserati Perth Women’s Health Symposium brings together a collective hive of like minded health professionals with the common purpose of enhancing and promoting the health and wellness of Women, both in th e workplace and at home. Powered by one of the most alluring and recognisable brands – Maserati – the Women’s Health Symposium brings to you an amazing array of presenters from different fields of medicine – all with a practical and applicable message. This is a Maserati Perth Health Symposium – held for the first time in the Perth CBD – inviting not only women in the corporate sector but also women working from home and caring for their children to attend. Not limited to women – we welcome men who have the highest considerations for their spouses and partners at heart. 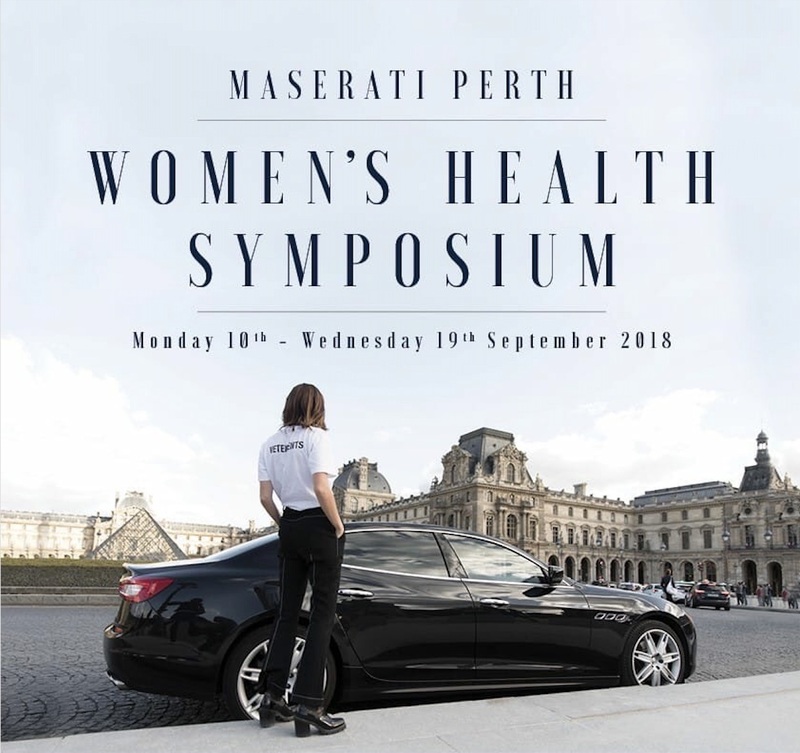 The Maserati Perth Women’s Health Symposium also brings forth a somber note – with the majority of the proceeds from the sale of tickets going to the Ladybird Foundation, which is a charity organisation specifically catering for women with breast and gynecological cancers. Venue: Central Park Auditorium, located between Hay Street and William Street in Perth. This Symposium, which spans 7 topics on specific days during a 11-day period, will be held at the Central Park Auditorium located between Hay Street and William Street in Perth. Entry is via on-line ticketing sales which will go a long way to assisting our charity. There is ONE topic held per day with a total of seven presentations, all of which will be hosted from 12:30 pm to 1:30 pm on the nominated days. $60 per person to attend all seven presentation OR $15 per person to attend one workshop.